Joanna Demers writes both scholarly and creative works that explore philosophical issues in recent music. 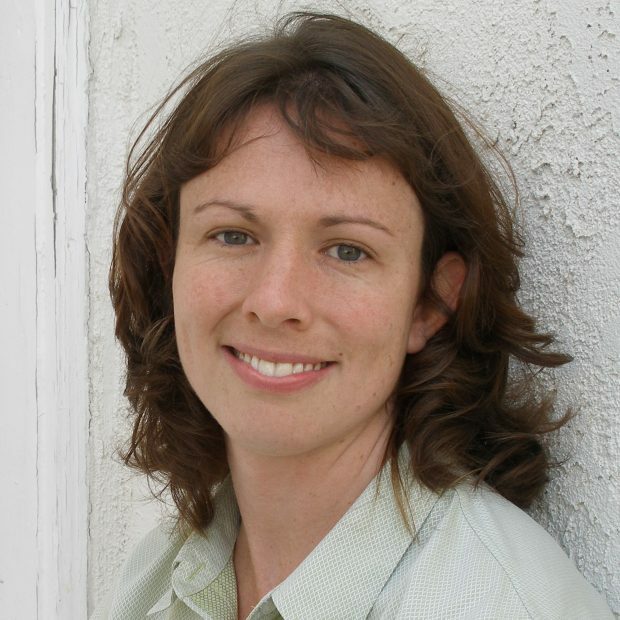 She is Associate Professor of Musicology at the University of Southern California’s Thornton School of Music, where she teaches courses on post-1945 popular and experimental music and aesthetics. She has published two scholarly books: Listening Through the Noise: The Aesthetics of Experimental Electronic Music (Oxford University Press, 2010), and Steal This Music: How Intellectual Property Law Affects Musical Creativity (University of Georgia Press, 2006). She has also written two novels: Drone and Apocalypse: An Exhibit Catalog for the End of the World (2015), and Anatomy of Thought-Fiction: CHS Report, 2214 (2017), both with Zero Books. 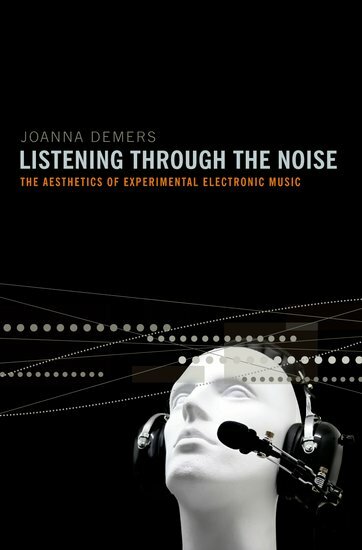 [joannademers.com] Here's our little talk about music with one of the most interesting scholars and writers about this kind of art, JOANNA DEMERS (2017 07 06). We have to not call music things which are simply sound-structures. . . . There’s thus a gradation between the domain of raw sound, which starts by being imitative, like the representational plastic arts, and the domain of language. Between, there’s a zone of gradation which is the area of “abstract” in the plastic arts, and which is neither language nor model, but a play of forms and material. Th ere are many people working with sound. It’s oft en boring, but not necessarily ugly. It contains dynamic and kinaesthetic impressions. But it’s not music. Interview with JOANNA DEMERS (2017 07 06). You write and teach about post-1945 popular and experimental music and aesthetics. Why did You choose this period of time, why its aesthetics are the most interesting to You? I fell into it after having studied flute performance at a music department (UCSD, the University of California at San Diego) that specializes in contemporary avant-garde music. The issues that post-1945 music brings up are very interesting: what makes something art and not, say, background noise or objects. Recent art seems to possess a conceptual component that is very exciting for me. The second book of Yours, Listening Through the Noise: The Aesthetics of Experimental Electronic Music (Oxford University Press, 2010), deals with abilities of electronic music. Does everyone now can create music and it suddenly, automatically becomes Sound Art (i do not know if You prefer this term)? There are millions of albums and it is really difficult or maybe impossible to listen even to the best ones. How do You choose which experimental electronic music is "good" and which is "bad"? What are Your criteria? simply trying to make sense of that reaction. 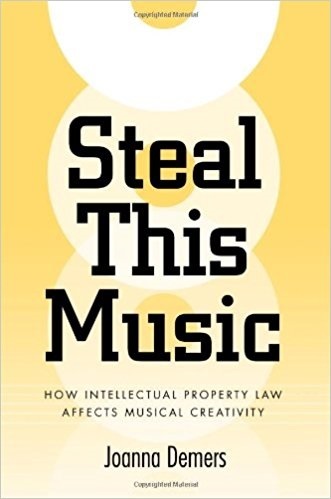 The first book of Yours, Steal This Music: How Intellectual Property Law Affects Musical Creativity (University of Georgia Press, 2006), is about music as a property. Is music a property, indeed? Where is the line between plagiarism and covers, homages and tributes, and what do You think about global piracy? Many people use torrents and other ways to listen to music before buying a CD, LP or MC (some do not buy). Is it good in a moral sense to do this? At one hand, it is impossible to buy everything even if one is a billionaire - there must be some pre-listening. hear almost anything for free on demand. Of course, there are also Spotify and other services, which are free or nearly free, but consider that YouTube gets us access to an enormous amount of content, for free. Consumer expectations have come to expect instant, free access as a matter of course. the prime sources of income. up a new one and listen before deciding whether to buy it. After the aforementioned scholarly books You began to write novels. Why? not be creative if it is to be serious. Some of the best writing about music and art are found in novels, poems, and film soundtracks. Michel Houellebecq's writing on art, in La carte et le territoire and La possibilité d'une île, is brilliant! 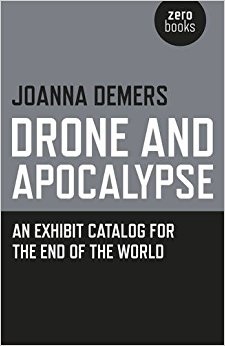 The first novel, Drone and Apocalypse: An Exhibit Catalog for the End of the World (2015, Zer0 Books), is about apocalypse that never arrives? Why? What about K. Penderecki's Threnody and D. Lynch's Twin Peaks (especially the eight episode of The Return)? Do we live in post-Trinity times? You've chosen to investigate music of post-1945. Is it a coincidence? No coincidence! Some of these existential questions in contemporary art could only have come about through thinking about dark, existential questions about humanity (whether we should consider self-annihilation). We have never really left that dangerous place, although post-1991 politics suggested briefly, at least in the US, that we had put all of that scary Cold War stuff behind us. Recent events suggest that we are not done with these questions. 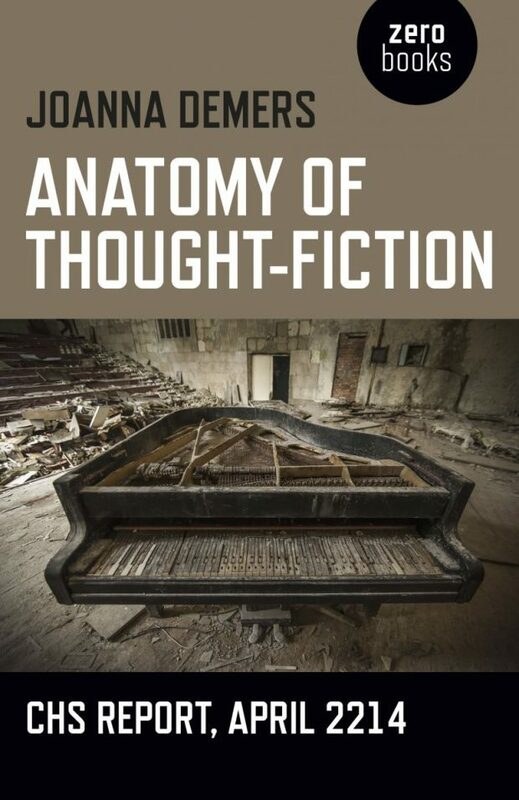 The second novel, which is just released, Anatomy of Thought-Fiction: CHS Report, 2214 (2017, Zer0 Books), deals with post-music of various kinds and is like a memoir of our time. What time is now? What music is now? Is it getting better or worse? Are there any new styles of music, or just many post-post--neo-posts? (Neo-Krautrock, Post-Metal...) It seems it is just a shadow of 1960-1980s music when everything was new and no post-music was needed. There's certainly a lot of retromania. Simon Reynolds' book on retromania is really the guide to it. I've asked my students that very question, of what music is original to this particular point in history and not simply derivative. Some of them used to say dubstep or trap, but not so much these days. I think that it was a very positive thing in the 70s and 80s not to have instant access to all music via the Internet. It supported originality in a way that is much more difficult today, when we can listen to anything at any time. What music do You prefer to listen not as a scholar/writer? A "serious" one, and for relaxation? too, so relaxation is becoming 'serious' now! Which philosophers made the biggest impact on You? Or maybe religious figures, artists of any kind? to him, I discover a new Hegel, so I could really spend my whole life with him. to discover new writers all the time in that vein. Maybe You know something about contemporary Lithuanian music? We have serious composers and experimental music as well. I don't know nearly as much as I'd like! I have heard some pieces by Kutavičius that are astounding, and would like to know more about minimalism and EDM in Lithuania.